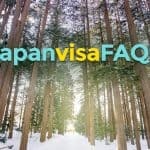 This visa guide is for Multiple Entry Japan Visa applications. This contains Japan visa requirements and the multiple entry form. 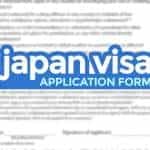 If you’re interested in only a single-entry visa, read these instead: Japan Single-entry TOURIST Visa, if you’re applying as a tourist, or Japan Single-entry VISIT Visa, if you’re visiting friends or relatives. Just the other day, I received my fourth Japan visa, my second multiple-entry visa. This time, valid for the next five years. I didn’t even ask for it. The truth is, the Japanese Embassy has been lenient when it comes to letting Filipino tourists over the last few years. It’s not as difficult as before. Processes have been streamlined, rules relaxed, and requirements reduced in an effort to boost tourism. In fact, they have been handing returning tourists MULTIPLE-ENTRY visas even when they’re not asking for it. That’s what happened to me twice. So does that mean that you should expect a multiple-entry visa if it’s not your first time? NOPE, not necessarily. My third Japan visa was singe-entry! My fourth, the one I just got a few days ago, was multiple-entry. It’s erratic like that. Clearly, they base it on many factors, which is why, if you’re gunning for a multiple-entry visa and you can’t leave anything to chance, you have to do the application right. I asked the agency that processed my visa for the requirements and procedure and here they are. Update (Feb 2018). My teammates Vins and Astrid recently applied again and the staff at Reli Tours said that they noticed since the year started, the embassy had been giving multiple entry visas ONLY to those who explicitly applied for it (meaning, those who filled out the form below). It was just their observation, nothing confirmed or official, but just sharing with you what they said. In case it’s not clear yet: This post is for tourists holding a Philippine passport, applying in Manila. Rules may be different in other cities and for other nationalities. WHO ARE ELIGIBLE FOR A MULTIPLE ENTRY VISA? Below is a form provided by the Japanese Embassy, enumerating the types of multiple-entry visas and corresponding eligibility requirements. If you meet any of the following criteria, you may request for one. For the purpose of this article, let’s label A to D. The reason: I’ll be referring to these categories again when I discuss the requirements so it is important to know where you fall under. Category A. If you have travelled to Japan as temporary visitor within the last three years AND have sufficient financial capability to support their trip.  Category B. If you have travelled to Japan as temporary visitor within the last three years AND have travelled as temporary visitor to G7 countries (excluding Japan) several times within the last three years. The other G7 countries are: Canada, France, Germany, Italy, the United Kingdom (UK) and the United States (USA). Category C. If you have high financial capacity (but has not been to Japan in the past 3 years). The keywords here are HIGH FINANCIAL CAPACITY. Category D. If you are an immediate family member (Spouse/Child) of a person who has high financial capacity. 3. Accomplished visa application form. 1. Determine if you are eligible. 3. Submit via an Accredited Travel Agency. 4. Wait for your visa. I’m traveling to Japan for the first time. Can I apply for a multiple-entry Japan visa? How much show money should I have in my bank account to be considered for “high financial capacity”? I’m visiting a friend or relative. 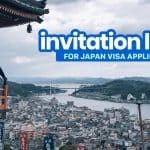 Can I apply for a multiple-entry Japan visa? How early should I apply for a multiple-entry Japan visa? Do I need to book flights and hotel before applying? How long is the validity of multiple-entry Japan visa? How long does it take to process Japan visa application? Is personal appearance required for a multiple-entry Japan visa? If the question doesn’t apply to me, should I write N/A or just leave it blank? 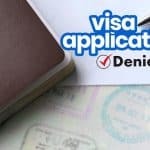 What are the common reasons why multiple-entry Japan visa applications are denied? 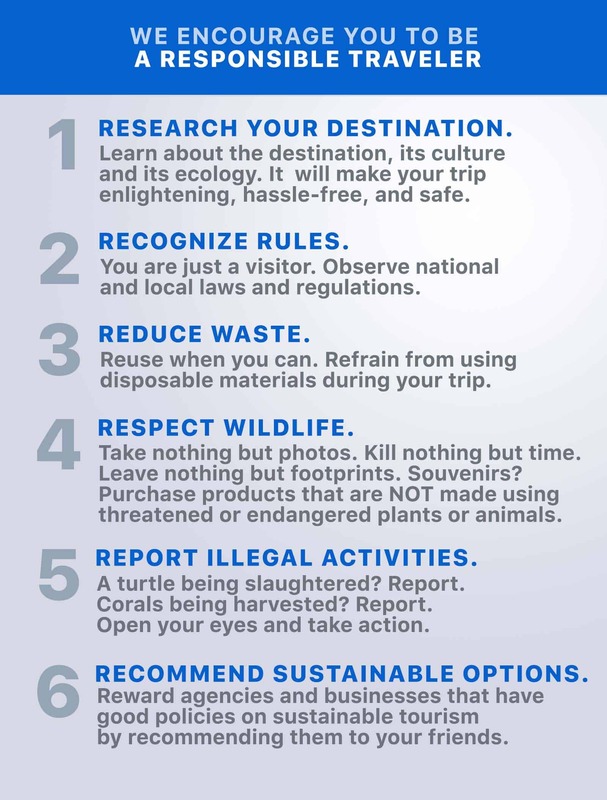 Here’s a checklist for those visiting as TOURIST, (which means you won’t be visiting a friend or a relative, and you’re staying at a hotel). Note that this section contains just the basic requirements. There are additional documents needed depending on your eligibility category, listed in the following section. You can also get the form from the agency. At the bottom of the form, you’ll find a box where you will be asked to explain why you need a multiple-entry visa. If you feel like it’s not enough space for your explanation, you can use an extra sheet. Better yet, just provide an explanation letter. Must have at least 6 months validity from your target travel date. Must have 2 blank pages or more. Must have a signature. For newer passports, you can find the signature field on Page 3, the page next to the Bio Page. If it’s blank, you can sign it. For older e-passports, your digital signature is already on the bio page. No need to sign. The form must be completely filled out. Just put N/A if some fields are not applicable to you. Use A4 paper when you print it out. Write your name at the back.  Paste it on the designated area on the application form. Also known as daily schedule. Aside from the basic requirements listed above, you must also provide additional documents depending on the category you fall under. Proof of travel to Japan in the last 3 years. The used visas and landing permission stamps on your passport are accepted. If your qualified visas/stamps are on an old passport, submit the old passport too. Income tax return (ITR) Form 2316 . If you don’t have a current ITR because you’re new at your job or you’re working abroad or whatever, you can provide copies of invoice or payslip or other tax forms along with a letter explaining why you can’t provide this. Bank certificate. Or any other proof of financial capacity such as dividend certificate of stock. Must be issued within the past 3 months. There’s no telling how big a fund is “enough” to get approved, but (in case you’re wondering) my account had only a bit north of P100,000. I planned on staying for a week. I also have a friend who applied for a 5-day stay with only P50,000 in the bank. Hers got approved, too. The keywords here are G7 COUNTRIES SEVERAL TIMES. For this category, no need for financial documents. Proof of travel to Japan in the last 3 years as temporary visitor. The used visas and landing permission stamps on your passport are accepted. If your qualified visas/stamps are on an old passport, submit the old passport too. Proof of travel to other G7 countries in the last 3 years as temporary visitor. Same as above, visas and stamps are accepted. Just submit the passports where they are affixed. This is for those who have high financial capacity BUT HAVE NOT BEEN TO JAPAN WITHIN THE PAST 3 YEARS. We receive a lot of messages from people who have never been to Japan and have low financial capacity but are adamant in applying for a multiple entry visa. While that is possible, it can be risky. If it’s your first time to travel to Japan, the safer way is to apply for a single-entry first. This will give you better chances of approval. Birth certificate from PSA. Must be issued within the past one year. If late registration, you will also have to submit a baptismal certificate, high school or elementary school record (Form 137), and school yearbook (only if you have it). Marriage certificate from PSA. Only if you’re married. Must be issued within one year from PSA Main Office or Serbilis Outlet Center nationwide. Bank certificate. Or any other proof of financial capacity such as dividend certificate of stock. Must be issued within the past 3 months. Income tax return (ITR) Form 2316 of Guarantor. The guarantor is the spouse or parent with abundant financial resources. Bank certificate of Guarantor. Any other proof of financial capacity such as dividend certificate of stock is also accepted. Must be issued within the past 3 months. 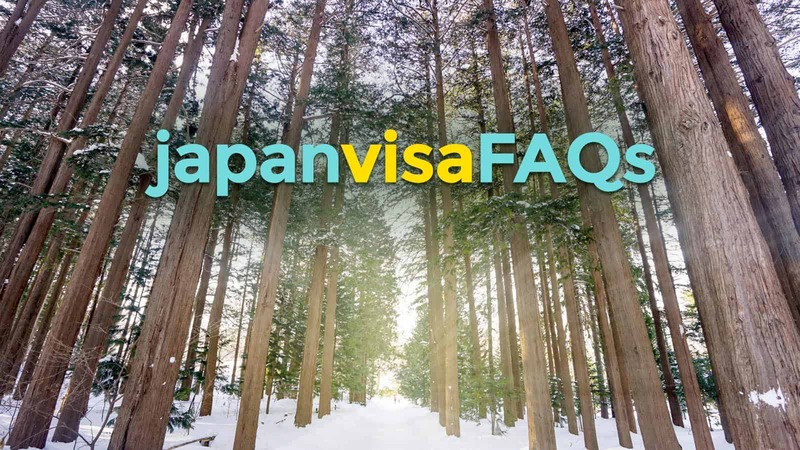 If you’re applying to visit family or friends, you can find the list of requirements here: Japan Visa Requirements. You’ll find all the eligibility categories above. In some cases, an applicant can fall under 2 or more categories. In that case, I recommend that you take a look at the requirements and figure out which category has the most needed documents that you can provide. Once you have figured out or decided your category, gather all the required documents as enumerated in the previous sections. Make sure that all printed out documents are on an A4-size paper. Currently, there are only a handful of accredited travel agencies. They all charge different rates for the processing of the visa, but it’s somewhere between P800 and P2000. Some are stricter than others, too. Travel agencies say it usually takes 5-7 working days, but it is often shorter than that. I got my first and second muliple-entry visas after only 2 days. One of our readers said she got hers after 3 weeks. I guess you can never really tell. Just to manage expectations: Just because you applied for a multiple-entry visa doesn’t mean you will be given exactly that. There’s still a chance that you will be granted a single-entry visa or your application will be denied. It is still at the sole discretion of the Embassy. Only if you have high financial capacity or you’re an immediate family member of someone with a high financial capacity. But in general, it’s much much safer to apply for a single-entry visa if you’re a first-time applicant. 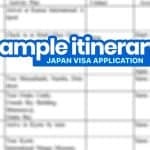 To apply for a single-entry visa, read: SINGLE-ENTRY JAPAN VISA REQUIREMENTS. They don’t say how much exactly. I don’t know. The agents I asked don’t know either. But it’s generally accepted that if you have a 7-digit amount in your account (over 1 million pesos), you’re eligible. I don’t know for sure. In general, it’s safer to aim for a multiple-entry visa if you’re applying as a TOURIST, not a VISITOR. According to some our readers, VISIT VISA applicants are less likely to be granted a multiple-entry visa. 3 months before your target travel date is the earliest, in my opinion. Remember, whether or not you’ll be granted a multiple-entry visa is upon the discretion of the embassy. It is still possible that you be granted a single-entry vis even if you apply for multiple. The single-entry visa has a validity of 3 months, so if luck is not on your side and you’re granted a single-entry visa, you can still use it to enter Japan. I prefer applying 1 month before the trip. No. It’s not a requirement. However, on the application form, you will have to write down the specific AIRLINE and HOTEL ADDRESS you wish to book (or have booked). Some travel agencies accept flight itinerary if the applicant is already booked for better chances. Some don’t. In general, it is not a requirement. If you haven’t booked flights yet, don’t. Get a visa first. Multiple-entry visas will allow you to stay for 15 or 30 days, depending on what is given to you. But it’s usually valid for 5 years. Up to 7 days, generally. But it varies. My first time, 5 working days. Second time, 2 days. Then on my third and fourth times, 7 days and 2 days respectively. NO. You can ask someone else to do submit the documents for you IF THE REQUIREMENTS ARE COMPLETE. For good measure, write an authorization letter. Either is okay. I’ve tried applying with both. No problem. 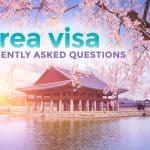 It confuses applicants because Japan and Korea have different policies, and most designated agencies process both Japan and Korean visas. But here’s the generally accepted practice: For Japan Visa form, write N/A. For Korean Visa form, leave it blank. 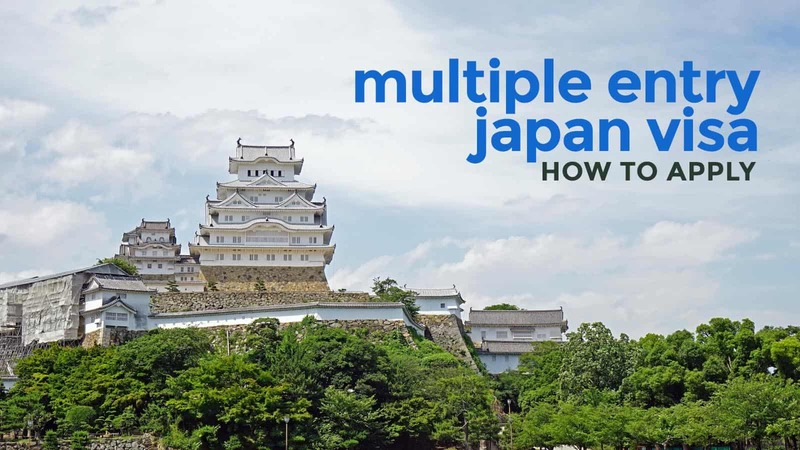 You’re not eligible for multiple-entry. . You’re probably traveling to Japan for the first time and have insufficient funds but you’re applying for multiple-entry. You should apply for a single-entry visa first. You can’t prove that you can financially support yourself on this trip. You probably have insufficient funds or not in a good financial standing. You can’t prove that you intend to return (rootedness). You probably don’t have a stable job at this point, unemployed, newly employed, or newly resigned, and it’s giving the impression that you intend to work there. Your intention/purpose in Japan is unclear. This is why it is best to be specific when you’re detailing the reasons for your visit. There may also be some inconsistencies in your application. Yes, anything between 50k to 100k is the safest amount to have inside the bank. Hi, question..if someone have multiple visa. When she return to japan since the lst time of her visit? I applied for tourist visa in japan.single entry.plan ko na mag vacation this august 2017.nxt time gusto ko ulit bumalik so plan ko na mag apply for multiple entry visa.ilang months bago ako ulit makapg apply ng visa? ‘Hope to hear your respond. if we fill up the multiple entry form do we still need to submit a letter requesting a multiple entry visa?? No na, unless di kasya ung explanation mo dun sa space provided sa form. hi! when you were granted a multiple entry visa, did you perhaps buy JR Pass as well? is multiple entry visa with temporary status accepted that time? i was searching the net and one JR Pass seller mentioned that multiple entry visa holders cannot use JR Pass… thank you! Hi Hiki. In 2016, I was able to use a JR Pass while on a multiple entry visa… Not sure if something has changes since. Hi.. I’ve been to Japan twice in last year but I haven’t been to any of g7 coubtries yet. Can i still apply for multiple entry? Yep. You only need to meet at least one (not all) of the eligibility points listed above. So yep, you can be granted a multiple entry visa even without a G7 travel history. Our teammate Astrid (who is also a regular contributor here) was recently granted a multiple entry visa and her travels were limited to Southeast Asia and Japan. Her application was still approved. Hello! For the last multiple entry visa that was given to you last year, did you apply for a single entry visa only? Is that the form that you filled-up? Back in 2016, there were no forms yet separating single entry and multiple entry visas, and I was given a multiple entry one on my first visit to Japan. My sister went last year (this was when they started having the separate forms), and since she only applied for a single entry one, she was given that, even though we submitted basically the same requirements (we had our mother as guarantor). My family and I are planning to go to Japan this June. It’s my mother’s and my brother’s first time in the country. I was thinking to just have them apply for a single entry visa, just to play it safe. But we plan to go back for the 2020 olympics, so a multiple entry one would really be great. Hi Steph, to answer your question, yep, the 2 multiple visas that I have were both granted despite me applying for single entry. However, my blogging partner Vins recently applied and the staff at Reli Tours said that they noticed since the year started, the embassy had only been giving multiple entry visas to those who would explicitly apply for it (meaning, those who would fill out the form above). It was just their observation, nothing confirmed or official, but just sharing with you what they said. I fall on both #1 and #2 eligibility since i had been to Japan and I had traveled to G7 countries multiple times in the last 3 years (12 Schengen countries + UK + US) even Australia. However I did not request for multiple entry visa so on my 2nd visa (2018) they still gave me single entry. That friend, single entry. It was her first time. 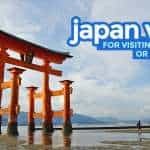 And just very recently, another friend applied with only P70,000 for her 2nd Japan trip, she was given multiple entry. Also i was planning to go this November kayalang i wanted to book early. I just did not want to risk buying the ticket without the visa that is why i wanted to apply for multiple because of the validity. Is there a chance na i applied for multiple tapos bigyan nila ako ng single entry which is di ko pa naman magagamit. Baka it might affect affect my next visa application? Hi Joanna, yes, may chance na single ang ibigay sayo kahit multiple ang iapply mo. Regarding whether or not makakaapekto, may isa kaming reader na hindi rin nya nagamit single visa nya tapos she applied again, sabi nya wala namang naging problem. Planning to apply po kasi ako for Multiple entry kasi I want to go back by 2020 for the Olympics. Hi Allan, yep, pwedeng single ang ibigay. Pwede ring flat out ideny. Yun ang tricky kapag nag-apply ng multiple. You’ll never know until results time. Pwede po pero mas okay if as a tourist, not as a visitor. Hello! We just submitted our requirements for Japan Visa. This is now our second time applying. We didn’t submit a form of request for Multiple Entry because we were not aware of it and the agency didn’t inform us about it. Anyway, do we still have the chance to be given multiple entry visas? Thank you. There might be. But it’s hard to tell at this point because the last time we asked, the agency said the form is now a must for multiple. Hi Happy. May I know if you were granted multiple entry visas? My family and I will be submitting this month. It will also be our second time applying. I’m thinking of applying the single entry (and hope that we will be given multiple entry) to be on the safe side. hi! Gusto ko sana magapply ng multiple entry japan visa. NagSchengen ako last 2016 and went to both Italy and France, and last trip ko to Japan is 2015….ang problem ko is this: i have an italian schengen visa but yung entry and exit ko is through amsterdam. In other words, yung travel ko to italy and france walang immigration stamps. Acceptable po kaya yun sa embassy? May suggestion po ba kayo na pwede kong option or gawin? Thanks. I have 2 Schengen Visas, one was issued by Czech Republic (last Dec 2016) and the other one was from Switzerland (last April 2017). For the Czech, my entrance/exit point is Amsterdam while for the Switzerland, my entrance/exit was Geneva. I was able to tour France and Italy kaso walang immigration stamps. 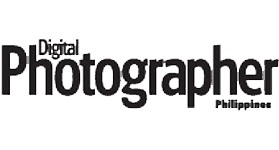 Do you think I need to submit photos pa during my Italy and France stay as proofs? I just reread your comment, and hmmmm, I’m not sure kung papaano if ganyan ang case, kasi the visa was issued by another country. Di ko alam if icoconsider sya ng embassy. Best to call yung travel agency kung saan ka mag-aapply na lang. Ang alam ko, pwede naman kahit may guarantor before. Ewan ko rin. You need to submit an ITR unless there is a valid reason. ay wait po nvm, kakakita ko lang. requirement pala talaga. don’t approve napo yung comments ko. thank you. My sister and I are planning to go to Japan this May. I have been to Japan before back in 2016 and I plan to apply for multiple entry. My sister has never been to Japan but we have both been to New Zealand in 2016. 1) Can my sister apply for multiple entry visa in Japan? 2) Can she fall under Category B (since she has been to NZ but not Japan) or Category D (since I can sponsor her)? 3)If she does not fall within any category, is it “safer” (higher chance of approval) for her to apply for Single Entry? Your reply is much appreciated. Thanks! 1. Only if you have HIGH FINANCIAL CAPACITY. 2. New Zealand is not a G7 country so she can’t be under B. And she can only be under D if you have high financial capacity. 3. Rule of thumb is, if it’s your first time to apply, apply for a single-entry visa. Plan ko po magapply ng japan visa this May 2018. Plano ko pumunta ng japan (first time), ma-aavail ko kaya ang multiple entry kahit 1st time lang ako pupunta? btw, nakapunta na ako ng korea early this year (w/single entry visa). If you have HIGH FINANCIAL CAPACITY. how much is the amount needed for a HIGH FINANCIAL CAPACITY? if that will be good for 5 years, should it fall within one’s passport validity? Say mine is 2015-2020 and if I will apply this year(2018), am I still capable to apply? Walang problema dun. Mine expires next year but I was given a 5-year multiple entry visa. Hi,sorry Galing po ako sa japan last May 2018 pero guarantor ko fiance ng mama ko. Pwede kaya ako mag apply ng multiple visa na walang guarantor? Depende if may nameet ka sa criteria that I enumerated in the post above. Hi do you have any idea how high is the high financial capacity? Question lang po, If ever I was not given a multiple entry visa, does that mean Single entry lang ung ibibigay? or Denied na ako nun, and I need to re-apply? Sabi ng agency, mahirap daw i-predict. Pwedeng single, pwedeng denied. Im planning to apply for a single entry visa for japan this coming august. ive been to the country already last february. not planning on applying for a multiple entry visa. are the requirements still the same for single entry even if it is your second time applying for it already? Yep, same. Difference lang is birth certificate, di na kailangan. My family and I had our first visit in Japan late last year. We are visiting again in December and are planning to get a multiple visa this time. If me and my hubby falls on Category A, does my 18 yr old daughter also falls under this category or category D as she is still a student? Hi Wheng, I think either will do. But it depends on her financial situation. If she has a bank account under her name and it shows high financial capacity, then yes, she can be A. But if she doesn’t have one, then D. But I would just go for D for my daughter, if I were in your case. Hi! My bf and I submitted all the requirements, except I submitted extra ones like COE and Car Registration, and he did not. He only submitted tickets and bookings, ITR, but no COE. His ITR was lower compared to what he is earning now, and it might not be commensurate to his current savings (120k). I’ve been to Japan once but I only applied for single entry, just like my bf. Do you think there may be something lacking in our application? Should he have submitted more optional documents? Hi via, that’s okay. Di naman required ang COE na. Kakauwi ko lang from Japan and I was given 1 time entry with 15 days stay. I have few questions sana and hope you can answer. 1. I applied my visa may work pa ako kakaresign ko lang din.. But now all i have is my itr syempre wala na me work. Do i still need to provide COE or ok nlang yung ITR ko? Or need ko gumawa ng letter explaning wala ako work..
2. My timeline ba ng visa application bago ako mag apply ulit since kakauwi ko lang ngayung July 14? Or can I apply agad agad? 1. Wala na sa list of requirements nila yung COE. Pero ewan ko if may agencies na humihingi pa rin ng COE. Pero sa Reli Tours, for example, wala namang COE. ITR ay sapat na. 2. Okay lang kahit apply ka agad pag-uwi. Walang issue dun. Nagawa ko na rin yan before, wala naman naging problem. Hi mr. Yoshke, i just want to ask. If i file multiple visa via relatives ok lang ba yun? Im currently here in japan for 90days and balik ko ng phil. By august 29, nagrant ako ng single entry na submit ko nman ung req. tapos plan ko ulit mag apply after 3 months ng multiple visa, ganun din ba process na katulad ng ginawa ko sa single entry ko? Process is still the same. May additional form lang na kelangan iaccomplish. And dapat mas malaki lang funds. Hi.. gaano kalaki ung chance ko na magrant ng ME kapag nakapagstay na ako japan for single entry last june-august? Thanks!!! Hard for me to sya coz it’s based on a whole lot of factors. On my 2nd application, i explicitly applied for multiple entry and got approved for 1 yr 15 day one. You mentioned you got 5 yr, how many days? Any idea what are the other variations? 1 yr 30 day? Hi Mark, the visa I’m using now is valid for 5 years, 30 days per visit. Before that, I got a validity of 3 years, 15 days per visit. I’ll be applying for Multiple entry Visa for Japan. I have been to Japan last year lang, January 2017. I think na pasok naman ako don sa A.A.
What worries me is I transferred all my balances from my 2 BPI accounts to my to my BDO account . The reason is this is the same account(BDO) I used last time. I needed to transfer my balances from my BPI accounts para at least mag 6 digits and ending balance ko and to prove that I have enough Financial Capability to support my trip. I only did these transfers last week. Hindi naman kasama sa ADB ang Bank Cert for Japan visa Application right? Only the Current balance and Date of Start ng Account. Or should I just request Bank Certs from my BPI accounts as well. Kasi every certificate request has a fee. That;s why I though na itransfer na lang muna ung balances to one account. Hi James, last time na kumuha ako sa BDO, hindi naman naka-display ang ADB. Not sure if sa branch lang namin or ganun lahat, though, kasi dati kasama. Pero if hindi kasama, you should be fine. 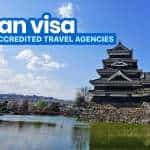 I’ve read in an ABS-CBN article (http://news.abs-cbn.com/overseas/07/31/18/japan-to-ease-visa-requirements-for-filipino-business-travelers) that they’re going to extend the maximum validity period of an ME visa from 5 to 10 years. Any tips for qualifying for the 10-year visa? Hi Althea, not sure if totoo but some of our readers said na risky mag-apply ng multiple kung Visit Visa. Mas malaki chance daw if tourist. Hi, I went to Japan last November 2015 ( single entry) and I want to travel again this september for 11 days ( booked tickets and accommodation already). I want to apply for a multiple entry but I am kind of worried since I do not have an ITR. The last time I went there, I submitted an explanation letter with a COE from my company that I am a contractual nurse thus wala akong ITR. Do you think I should apply for single or push through for multiple entry? Hi Shyr, best to ask yung agency na lang kung saan ka apply. My advice though is apply for single na lang muna. Ive been to Japan last 2015 and 2016 for single entry lang.. can I. Be given a multiple entry if I apply this year? What to prepare for the multiple entry Visa? Currently I am not employed. I am just a freelance networker.any advise? Hi Besscan, ayan na po sa post ung mga requirements. If wala kang ITR, gawa ka ng letter explaining bakit wala then submit other proof na meron kang income like invoices or copy of contract, etc. Hi, do you think it’s okay to apply for a multiple visa if I had only 60k in bank? I was able to secure single entry visa in Japan last year twice and visited Japan twice but using visiting friend. But now I’m planning to get multiple by my own. My worries are, as of the moment, I opened a new bank account last July and it currently have 50-70k. I hope you can advise me. Thanks! I have opened the bank account just this July 2018, check if the bank certificate your bank issues indicate the maturity nung account. Kasi if nakalagay kung gaano na katagal ung account and 1 month old pa lang, baka magka-problem. Most bank certs naman, hindi nakalagay. Pero double check mo lang. Hi, kung sa category D, hindi na ba need yung Letter of Guarantee? Planning to apply as a family and mom ko yung guarantor for all of us sana. Hi Shen, as far as I know, no na. the birth cert should already show that you’re immediate family. Hi, I just want to say thanks! This guide absolutely helped. I did bring a guarantee letter just in case and Reli took the document. My whole family got 5-year ME visas. We used category C and D since we’ve never been to Japan before. The application took 9 working days to be processed so I was nervous but it was worth the wait. Hi Yoshke! So if I have traveled to Italy, Canada and Japan in the last 2 years (I have single entry visa for these 3 countries), I don’t need to submit my ITR AND Bank Certificate? Did I understand this correctly? Hi Jojee, yep! You only need to submit the basic requirements + proof of travel in Japan and G7 countries. Yey! That’s a relief! I’m praying I receive multiple entry next time I apply later this year. Thanks, Yoshke!!! Hi Yoshke! I just applied. No financial docs nga needed just my Japan and G7 stamps haha i didnt even submit a CoE! Got approved in 2 days through Attic Tours. thank you!!!!!!!! Hi my sister is living in tokyo but i dont want to bother her to be my guarantor. Is it possible to apply for multiple entry visa using my own documents even if i mention that i will visit my sister? Or they will require me additional documents from my sister? Hi Apple, ang chika sa travel circles ko (wuw, chika talaga) ay mas mahirap maapprove ang multiple kapag Visit. Mas madali kapag Tourist. Again, yun ang rumor. Di ko alam kung totoo. Is it your first time to visit Japan? If first time mo, best kung single entry na lang muna. 1. When is the soonest I can apply again for Japan Visa? 2. How can I apply for multiple-entry Visa? I want to apply for multiple-entry VIsa but my bank account falls under 50-70k. I am not eligible with the requirements above (for multiple) because my Travel history is just Singapore (dec 2015 and Jan 2018) and recently Japan August 2018. My reason for applying multiple-entry visa is bitin kasi yung 15 days. My Girlfriend is currently working in Japan (last march lang sya nag start) so no problem ako sa accommodation. I want to apply lang as a tourist not visiting her (same in what I did before) baka kasi malaki chance ma deny. I need your advice on this Mr. Yoshke. Should I just apply for a visiting tourist sa GF ko or just apply multiple-entry visa na hindi ko imention GF ko? or single entry nalang? Maraming salamat po. Hope I get a reply. 1. You can apply anytime basta used na ung visa mo. 2. I have a friend/teammate who had the same amount in her bank and was convinced by the agency to try applying for multiple, and her application was approved. It wasn’t her first time in Japan either. She visited just the month before. So yes, there is a possibility na ma-approve kahit ganun ung amount. Ang difference lang is, she applied for a Tourist Visa, not a Visit visa. Thank you for your great content and appreciating your help! 1- Do you think that an amount of $ 10K dollars will help me get a multiple entry visa? 2- I have recently joined a job since one month and I don’t have any ITR. Can you please send me a sample of any payslips that I need to provide along with my documents? Just applied yesterday at Reli Tours Megamall. A few seconds after I gave my requirements to the staff, she said “Sir nakapunta ka na sa Japan. Would you like to request for a multiple entry visa?”. Of course I said yes! Yay! Good luck on your application! Late ppdate: My visa is ME for 5 years! Ang bilis, I applied Sept 2, then around 6:30pm of Sept 4 nagtext na ang Reli Tours na ready to pickup na ang passport ko. Hi, would you know if the maximum number of days I could stay in Japan should I apply for a multiple entry visa? And if I will be able to extend my visit or stay? It will be my fourth visit if ever. Some multiple-entry visas allow maximum of 15 days, others allow 30 days. Depends on what is given to you. Not sure about extending though. Hello mr. Yoshke ask ko lang last month nagpunta ako ng japan for tourist visa with guarantor for 15 days. And balak ko mag aply ulit ng tourist visa with same guarantor ok lang po ba yon friend ko lang yong guarantor ko posible kya yon.? Hi Honey grace, for multiple entry ba? I’m planning to apply for multiple entry visa sana but I’ve never been to Japan pa. Although I have toured several SEA countries (w/o visa) + I have multiple entry Korean visa. Do I have a chance na magrant ung multiple entry ko? TIA. 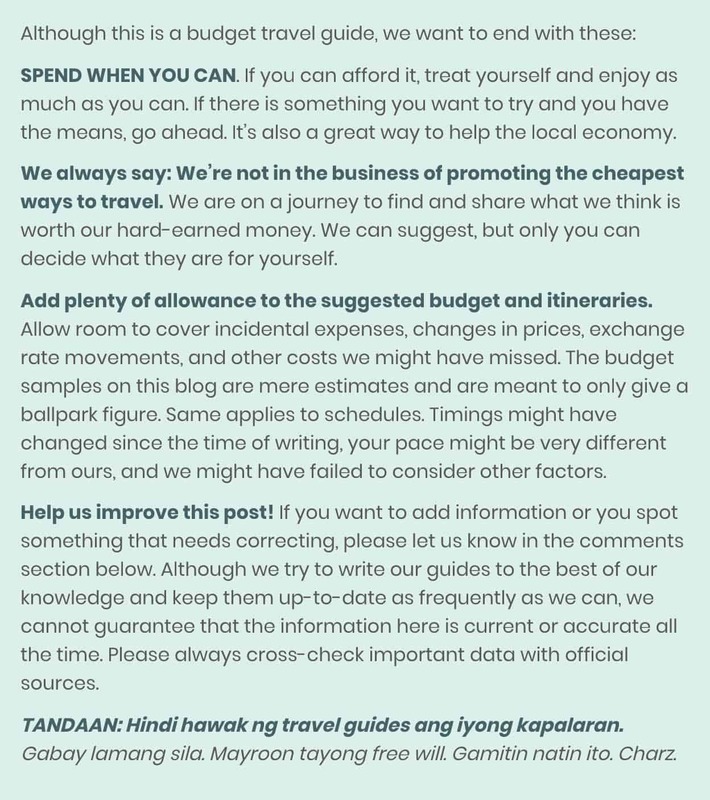 1) For the show money, should it be “just enough” for the first planned trip (just like for single-entry) or should it be large enough to cover for the succeeding trips? 2) I traveled to Canada just recently. Only once so far but I have a multiple-entry status. Do you think I also fall under category B? If not, do you think it would help anyway if I apply following category A procedures but submitting a copy of my Canada visa (and entry/exit stamps) to help strengthen the chance of the visa being granted? Zaeefa, I have a friend/teammate who applied for a multiple entry visa (Category A), and she only had 50-60K in her bank account. She was applying for a single entry but the agency convinced her to apply for ME instead. She did and got approved. Ohh. I see. Thank you so much for the info! May follow-up question din pala ako. I have a friend who wants to try applying for the ME status as well but the last time he went to Japan was 6 years ago. He also went to Canada just this year and ME status din. How high should his show money be to fall under category C? Thank you! I already got my multiple entry visa valid for 5 years! Do you have any idea if there’s a maximum number of days/trips I can go to Japan within a year? Hi Pearl, I don’t think there is. If there is, I don’t know. But I’m currently in Japan now and this is my 5th Japan trip this year. I had no problem going in. I think the point is for travelers to not make Japan their “second home” by staying longer than they should. Me and my family were granted visas twice already (visiting relative), this time we want to apply for a ME since our travel would be on May 2019. I just want to apply earlier (this Nov) coz my husband would be here for a vacation. He’s an OFW, with annual leave. He would be applying with us here since he doesn’t keep his money/savings in the bank abroad. My dilemma is that, I put in my letter that we have been granted two visas (2014 and 2016) visiting relative, would it affect our application now that we are applying as tourist? By the way, I indicated that we want to explore Tokyo on our own and book ourselves in 2 hotels. Also, will my children and my spouse fall on category D or will we go as a group and be categorized in A? I have an ITR, employment cert, stock cert and bank certificate. My children and my husband do have separate bank accounts but with modest savings in the bank (I don’t know how the Embassy tagged one’s finance). As much as possible, I want them to apply in Categ A coz If I go for D for them, I still have to provide PSA stuffs. Kindly enlighten me with my predicament. Thanks and more travels for you. Just to update you, got ours for 5 years, ME. Thanks Yoshke.. For travels for you. God bless..
Will go to Japan in Jan my first time ,Im thinking to apply for ME visa I’ve been to Singapore just a few months ago. I’m quite worried I don’t have an ITR because I just opened my business last September. Do you think I’d get approved? Is it ok if I will submit the bank cert of my checking account or better the savings account? Hi Jem, if it’s your first time to visit Japan, it’s much, much safer to apply for a single-entry visa. Hello, I have a ME visa sa korea. Hindi pa ako naka travel sa Japan. Do you think pwede ako mag request ng Japan ME visa? How much ang balance na dapat meron sa bangko? Hi Ruby, walang nakakaalam kung magkano dapat ung nasa account. Sabi nila 7 digits pag multiple. Di ko alam for sure. But generally if it’s your first time, best na single na lang muna to be safe. Hello! It will be my first time to go to Japan around July 2019. 1. Can I apply this early for a single entry this early? 2. I actually qualify dun sa 2nd category for multiple entry visa (employee from a company na Japanese subsidiary and also Japanese-managed) but I want to be a tourist. Can I use that for a first timer visa for multiple entry as a tourist? Thanks. Hi Gian, 3 months before yung earliest. Yung 2nd question, di ko gets, huhu. Sorry po. Yung 2nd option sa multiple entry visa na form, yung employee ng Japanese company. Is it for business only or for tourists lang? Thanks po. And any idea with high financial capacity? Aaah, naku, wala akong alam dun sa kapag employee ng Japanese company. Yung for tourist lang ang alam ko. Re high financial capacity, di nila sinasabi how much ung needed para mag-qualify sa high financial capacity. If it’s your first time to apply, it’s generally safer to apply for a single-entry visa. Pag nakapunta ka na once, madali na magmultiple. Pero if first time, less risky kung single. Hello! Plan ko magapply ng Japan Tourist Visa pag nagbakasyon ako sa pinas next year . Exempted ba kming mga OFW sa ITR? Pwede ba akong mag apply ng Multiple may Canada Multiple Visa ako pero isang beses ko pa lang nagagamit? You can submit the equivalent of ITR ng bansa kung saan ka nagwo-work. Tapos sulat ka na lang ng explanation letter. Me and daughter recently traveled to Japan. Gusto ko mag apply ng multiple visa both sa akin and to her. Alam ko sa category A ako. Ang anak ko kaya sa category D? Or one application for both us is enough? Hi Ella! Yep, ikaw, definitely A. Di ko lang alam yung sa daughter kasi di ko pa naranasan mag-apply for a multiple entry visa na part of a group/family. Kung individual application yan and your daughter is employed and has her own finances, I would say A din sya. Pero di ko alam kasi ung details pag group application or if pede pa un. Ok. Thank you. I would try and let you know kung puwede or kung anong naging experience ko for others to know. I will be applying Multiple Visa for my Family. We’ve been to Japan before but I only apply for single-entry visa. I’ll be coming back with my family and boyfriend. But the problem is it is indicated that you can only apply if you or your parents have financial capacity. Can I still include my boyfriend in our application or it should be in different application. He has a Multiple Visa in USA and Korea. Hi, for category B, is it required that the visit to g7 countries be “several times”? I went to japan 2017 and US DEC2016 TO JAN2017. Ive been to US several times but only once in the last three years. Do i still qualify for category B? i have a filipino friend who work in japan and sponsor her fiancee to visit her there. She said her fiancee visa approved and allowed him to saty in japan for 3months straight. I’m not sure the authenticity of her information but this is what she’d been telling me. Is it really posible to stay in japan 3 months staright just holding fiancee visa? And ayos lang po kaya kung halimbawa magkasunod na months ako pupunta pero a week or two lang each visit? May nagsabi po kasi sakin na parang bawal daw magkasunod na month kung nagamit yung 30 days na stay. Hi Jane, yep, show up ka lang sa airport with your visa, no other steps needed. But to be safe, always make sure you have a return ticket, proof of accommodations, etc. para sa PH immigration. Di ko alam yung sinasabing bawal ang magkasunod pag nagamit ung 30 days. Nung latter half ng 2018, halos every month nasa Japan ako and 1 week apart lang, wala naman akong naging problem pero 1-2 weeks lang ang stay ko. Hello Yoshke! Just wanted to confirm if my passport has expired and my multiple entry visa for Japan is still valid, do i just bring my old passport with valid visa and my new passport? No need to have my valid visa transferred to my new passport? Thank you! Hi Pau! Yep, no need to have the visa transferred. Just bring BOTH your old passport with visa and your new passport. Ganyan din situation ko now. My ME Japan visa is in my old passport and I have a new passport na. I just bring both. I’m an OFW based in Singapore so will apply through the embassy here. Just wanted to know if meron ka pong reader who is also based here and applied for 5-year multiple entry visa. Main reason for it is I want to come back next year for Tokyo 2020 and return for other cities such as Sapporo, Okinawa etc. 1) For the passport photo/info page, G7 visas and passport stamps, do I need to submit photocopies OR the passport itself will suffice? 1. Dun sa experience ng friend ko, passport lang. Pero dala ka na lang din ng photocopy to be sure. 2. Madalas, di na lulusot sa agency pa lang pag hindi A4. Papapalitan nila right there. would like to ask, i want to apply ng M.E. Visa but my first time sa Japan pa lang.. But I’ve been to Schengen Countries and turkey and 8 asian countires including korea but not yet in Japan. Xtn, if mataas ang laman ng bank account mo, pede naman. Di naman need ng cover letter kasi may section naman sa form na pwede mo iexplain bakit mo gusto ng multiple. Pero rule of thumb is, kapag first time mo, safer to apply na single. If gusto mo talaga ipush ang multiple, ijustify mo na lang sa form.